A wheel is composed of the inner spokes, the rim that connects the spokes and the outside tire. Wheels are connected by an axle so they can work in pairs to allow your vehicle to move. The tread on the tires protects the inner portion of the rim and helps the wheel grip the road to increase safety and efficiency. Without wheels, your car would not be able to function. This is why keeping on top of tire rotation service and other maintenance is so important. 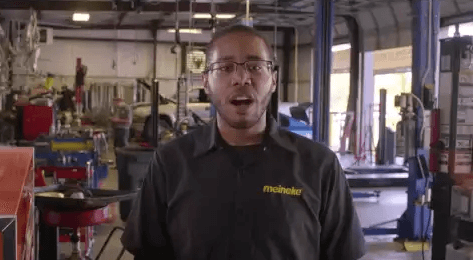 To learn more about wheels and how they work, contact Meineke #2432 in Montebello, CA. The question of "why are tires so important?" typically comes up when the need for a tire repair shop arises. It is a question that deserves some thought. Nearly every aspect of your vehicle's performance, including braking, acceleration, steering, traction, and handling, are all largely dependent on tire performance. Issues with the tread, balance, or stability of your tires and wheels could affect your control of your vehicle in an emergency situation. Thus, if you suspect any problems, you should visit Meineke #2432 in Montebello, CA for repair or tire change service right away. Uneven tread heights and issues with vehicle stability at high speeds could each be a sign that you're in need of a tire repair or tire change service. However, these signs are often easy to miss. Fortunately, you vehicle will often tell you when its tires need some TLC through your in-dash tire pressure light. If and when it turns on, you should immediately stop and see which of your tires is over or underinflated. If the sensor continues to illuminate even after adding air to the tire, taking it into Meineke #2432 in Montebello, CA may help you avoid a high tire replacement cost. Be sure to check and see if you also need a tire pressure sensor replacement while you're there. Damaged tires and wheels are a potential hazard that can be completely avoided with proper maintenance. If you ignore tire pressure issues or put off your search for "tire repair near me," you are placing yourself, your vehicle's occupants and everyone you pass on the road in danger. Without properly maintained tires, your tires could explode while you are driving, causing you to lose control. Contact Meineke #2432 in Montebello, CA for information on tire repair and tire pressure sensor replacement. More than likely, if your tires have not been replaced in over ten years, they will need to be replaced. If you have had your current set of tires for more than five years, professionals recommend having them inspected at least once a year just to be on the safe side. In general, how often you need to replace or inspect your tires will depend on your mileage, driving habits and the road conditions your most frequently encounter. If you constantly drive long distances at high speeds, please remember to schedule an inspection at your local store in Montebello CA Meineke #2432. If you're in need of new tires, you probably have concerns about the actual cost of tire replacement. While worn tires increase your risk of performance and stability issues on the road, that doesn't make affording new tires any easier. Fortunately, we at Meineke in Montebello, CA can. Once you have your new tires, be sure to make frequent visit to our Meineke #2432 web page. We frequently post repair and tire rotation coupons there. This is our way of rewarding the trust you place in us.